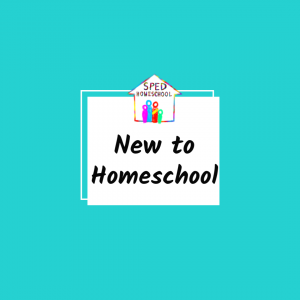 Are you looking for videos and podcasts to improve your homeschool instruction? We’ve got you covered with our live broadcasts, video channel and podcast stream. 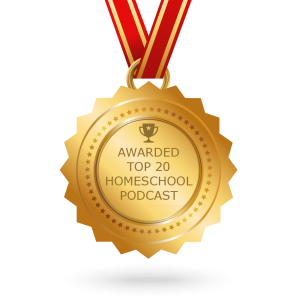 Recently SPED Homeschool Conversations was ranked #6 in the Top 20 Homeschool Podcasts to follow for 2019. Check it out here. 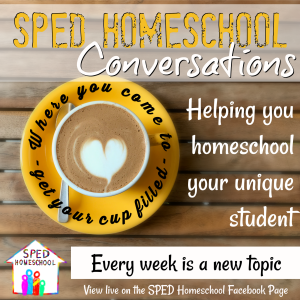 Every week we host a special education or homeschooling expert for an hour-long discussion regarding a pertinent special education homeschooling topic. These interviews are posted on our Facebook page and then downloaded and shared on our YouTube channel and podcast streaming site. An added benefit for live viewers is the ability to interact with our guest and ask questions during our discussion. 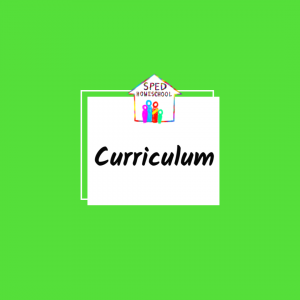 If you would like to discover who we will be hosting in the coming weeks, and what topics we will be discussing, visit our Facebook events page. We look forward to having you join the conversation! 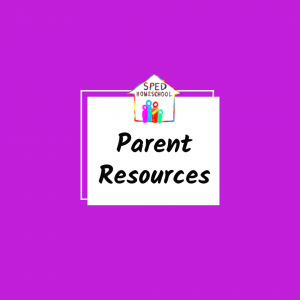 Whether you are looking for an hour long in-depth discussion or a quick video for inspiration on how to help your student, we have you covered. 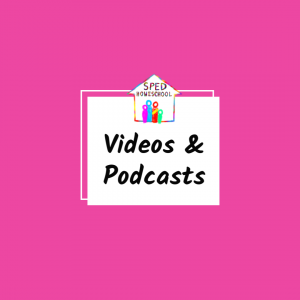 The SPED Homeschool YouTube channel is filled with helpful content for families at every phase of their special education homeschooling journey. Check out our most recent videos or visit our channel to search our content or subscribe. We release 5 new videos each week featuring our previous week’s live broadcast guest.